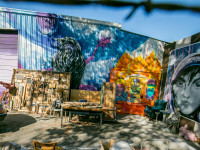 Again, murals are not unique to Berkeley, but our murals add to the quirky nature of our city. They come and they go, but when here they inform. 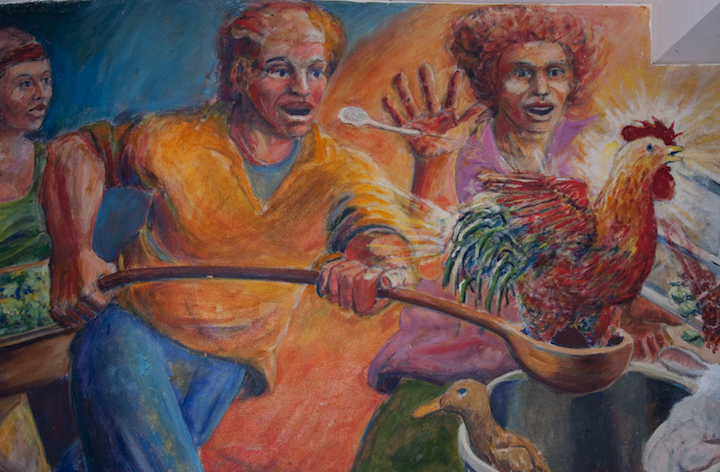 “Struggle” is coded language in Berkeley, or at least it was at one time. Us and them. Good and evil. Damn the man! 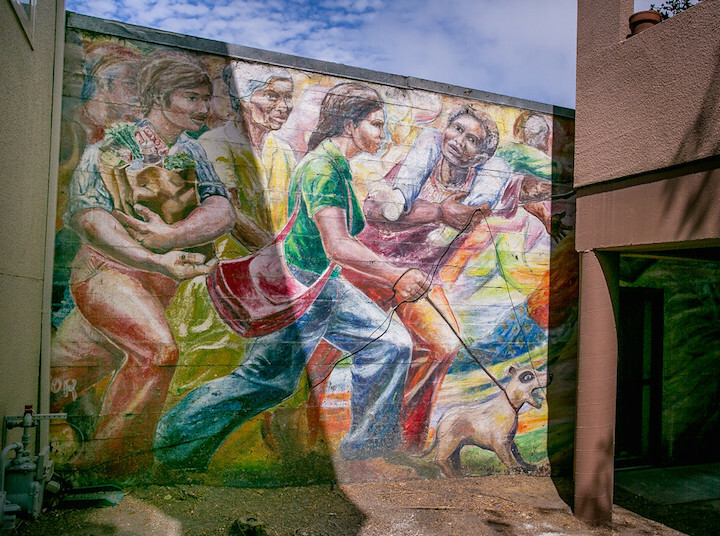 We have great murals that still celebrate the strife, the struggle. 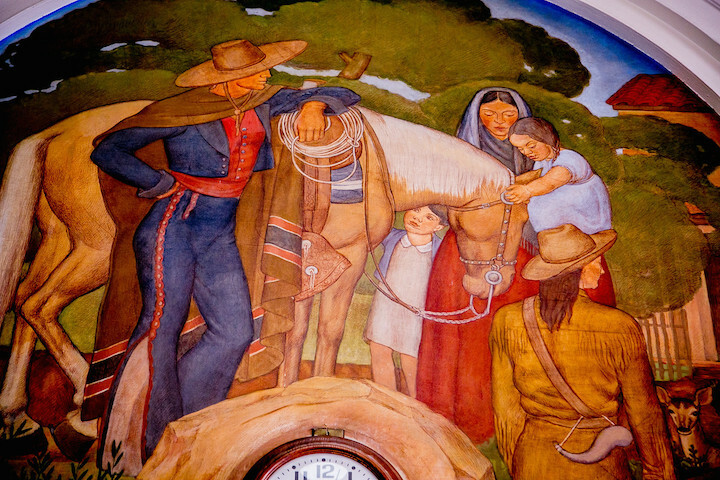 Our murals honor the Ohlone people, Spanish settlers, Mexican-Americans, African-Americans, Cajuns, Brazilians, and Indians. 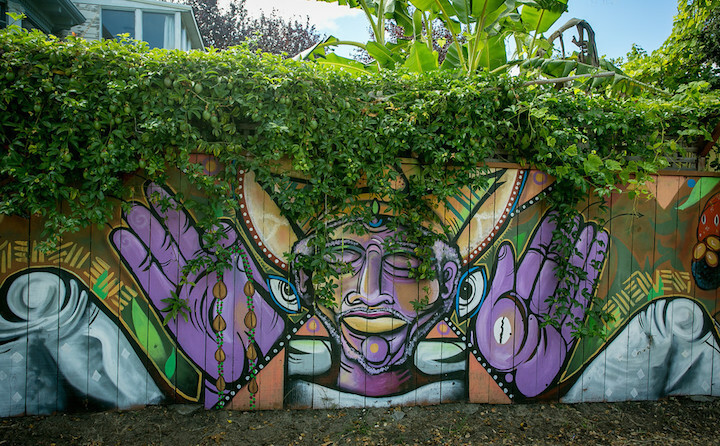 Cool murals that do not have an overtly political message. 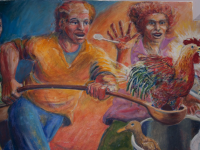 Le Déjeuner sur l’herbe, Virginia Bakery, Subway Guitar, Cedar Market, One-Stop Liquor, Alcatraz Market, Totland, Grant Street, Willard School, and more. 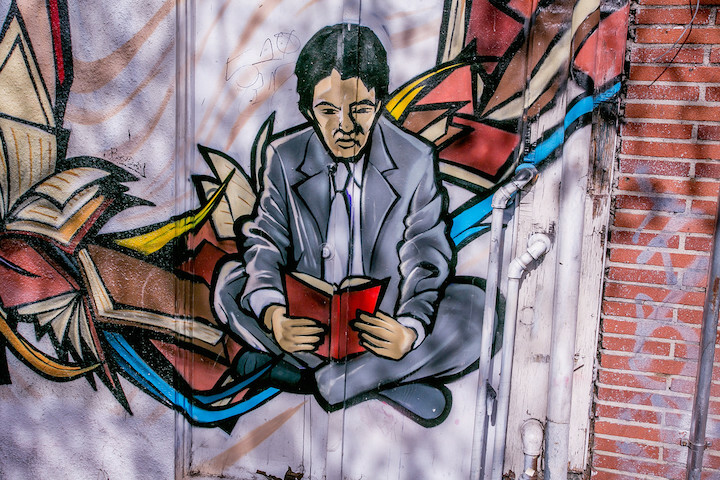 More: Toot Sweets, Classy Nails, High School West Campus, Indoor Gardens, King Pool, Berkeley Youth Alternatives, East Bay Nursery, and one-offs. 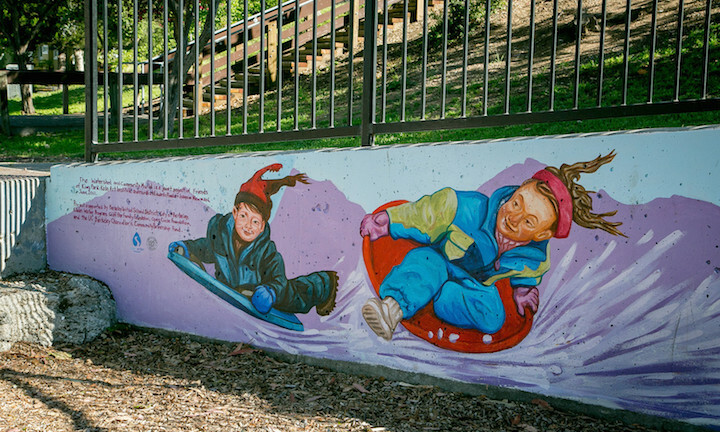 A hidden Osha Newman mural off University, the Willard Pool, Thousand Oaks School, Welcome to the Lorin District, Rose Garden Inn, and a few more. 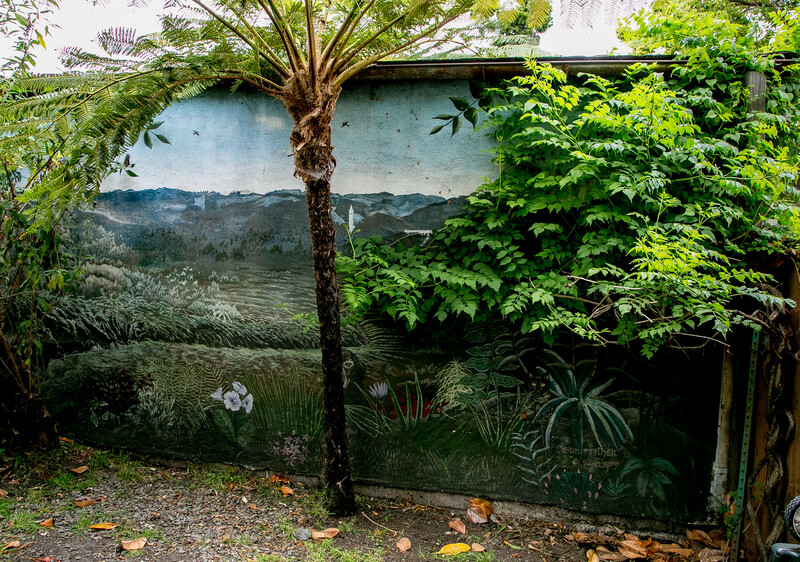 Murals hidden by construction, neglect, remodeling. 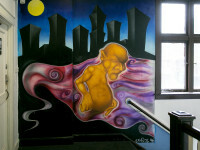 Indoor murals at the post office, BCC, the teen center, and a Pakistani restaurant. 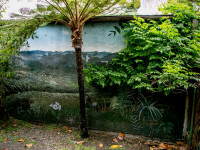 Amazing hidden murals. 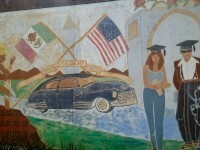 My love of Berkeley’s murals has taken me into the past. 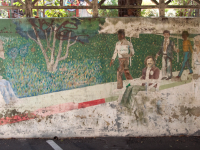 Here are photos – mostly black and white and grainy – of murals that once informed us but now are gone. 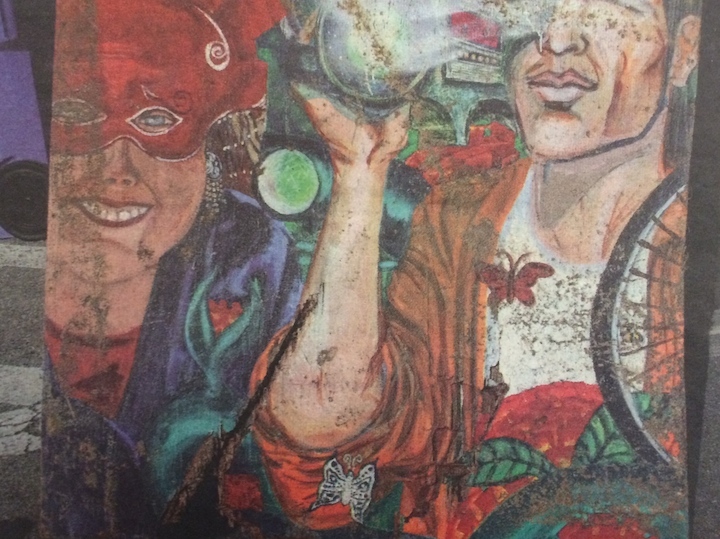 RIP old murals. 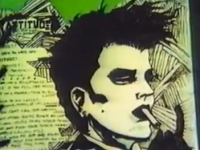 While posting on lost murals, I found a 1988 home movie of the walls of Barrington Hall. I made screen shots and present them here. 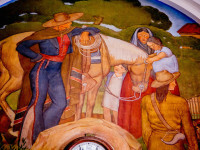 Too many to include with the other lost murals. 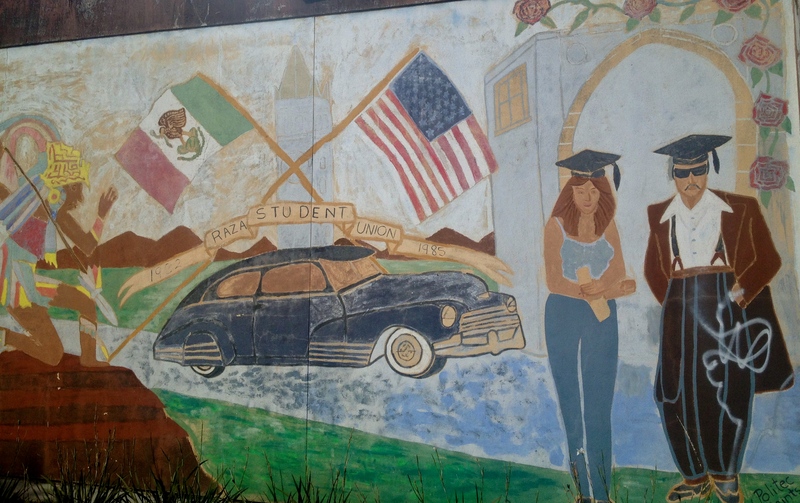 Acknowledging that murals are not a perfect fit with the parameters of Quirky Berkeley, I continue to find them, photograph them,and post them. 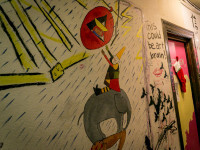 Seven more here, with a slight focus on Lou Silva’s work. 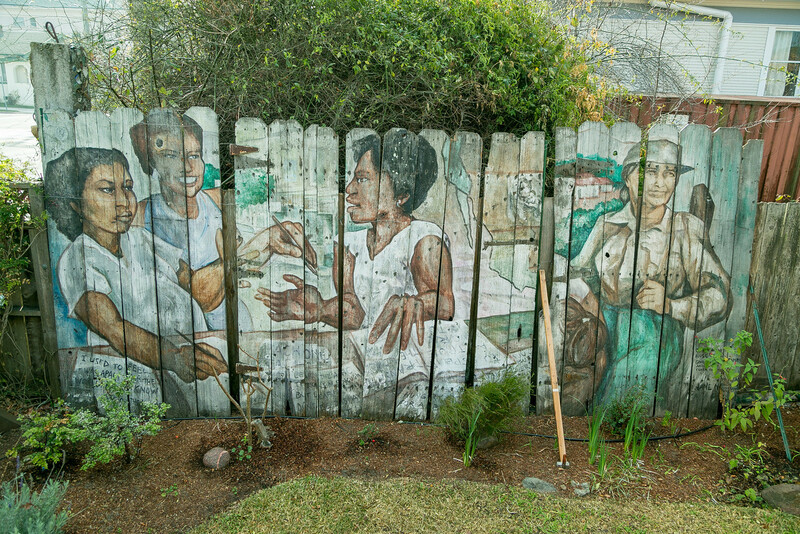 An intricate mural that winds around the front and side of a house, celebrating fairies and California native plants. A joint venture by Stefen and home owner Riley. 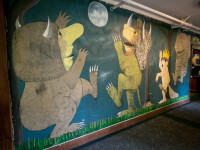 More murals! 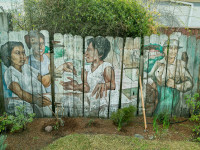 My 11th post on murals. Who knew? 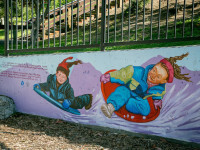 Great new murals and – best of all – three photos sent by Quirky Berkeley readers. Who knew? Kingman Hall, a Student Housing Co-op on La Loma, is home to many, many murals. The spirit of youth! Some of the many shown here. A look at the conventional, highbrow-art murals of Berkeley before Stefen took brush to the Dutch Boy wall on Milvia in January 1974. 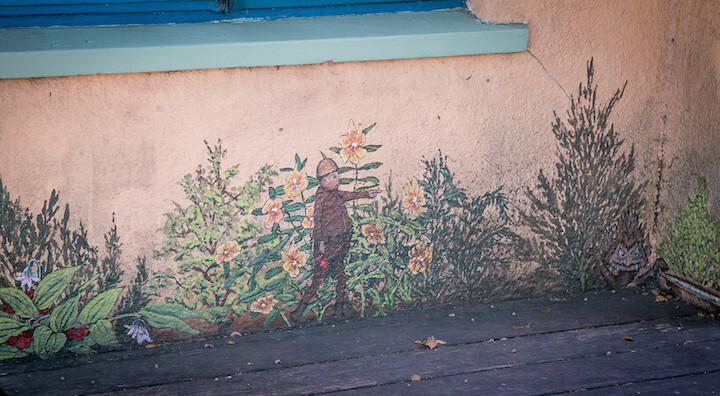 In 1974, the artist known as Stefen painted the Dutch Boy mural on Milvia at University. 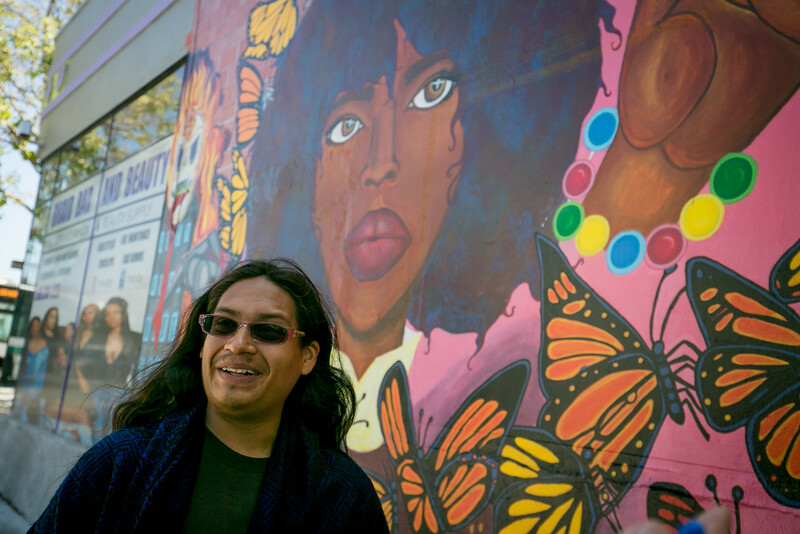 It only lasted three years, but it launched street murals in Berkeley, and it gave us Stefen, who 42 years later is still making murals for us. 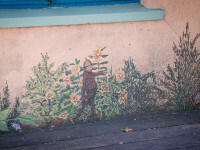 A few months after visiting Kingman, we went to Cloyne and got blown away by the murals there. 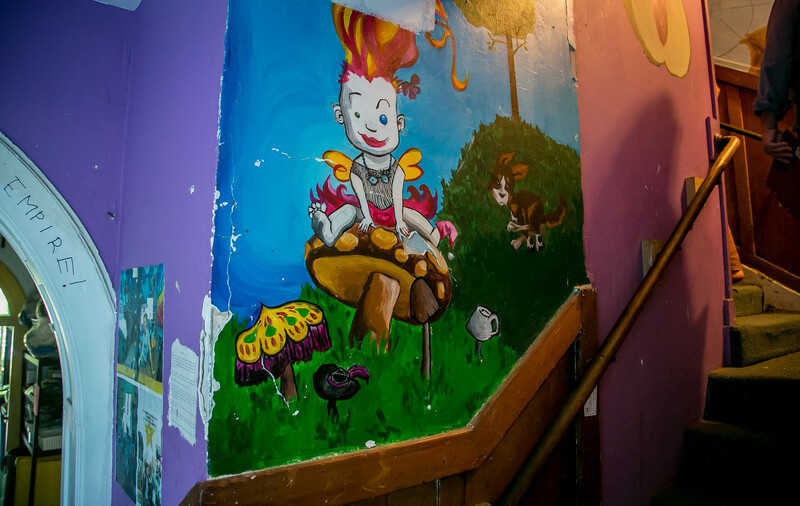 Shown here are photos of murals on the first floor. Many more to follow. 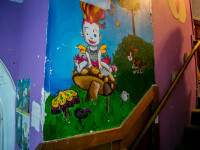 A return visit to Cloyne Court and a look at the murals on the second and third floors. Inspiring! In our return visit to Cloyne Court, we got enough shots of painted doors to justify a post just on the doors. 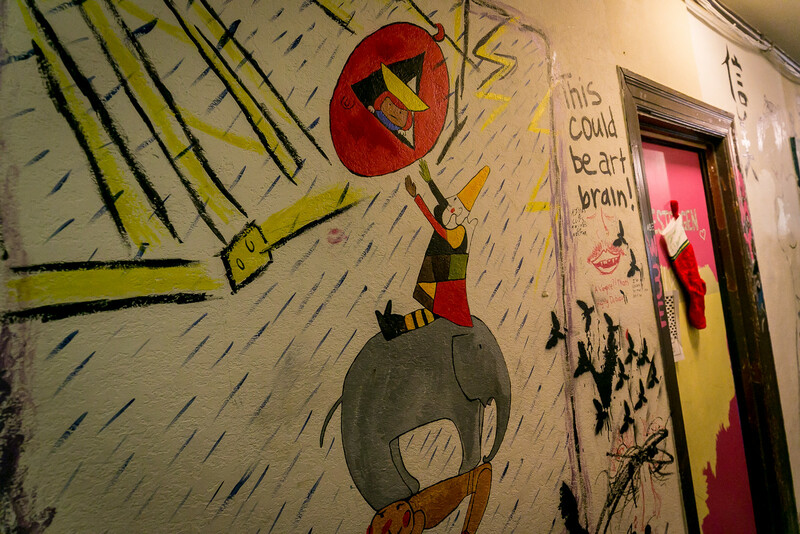 Clever, bright, creative. Long live Cloyne Court doors! 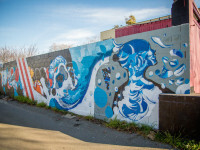 Noting a few murals that we lost, here is a fresh batch. Some are very new, some are just shown here for the first time. 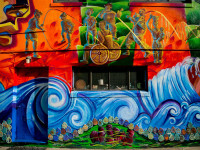 We aren’t the Mission District, but – our murals rock. 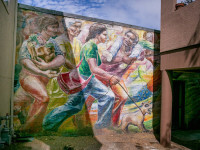 On Telegraph south of Dwight, the former offices of the Center for Independent Living and a 1977 mural depicting pioneers of the disability rights movement await the wrecking ball. Go see it now. 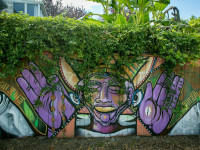 Murals may come and murals may go and so it is in Berkeley. 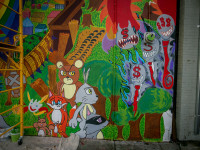 Development and change of use and corporate crackdown on deviant art have all taken these murals from us this year. 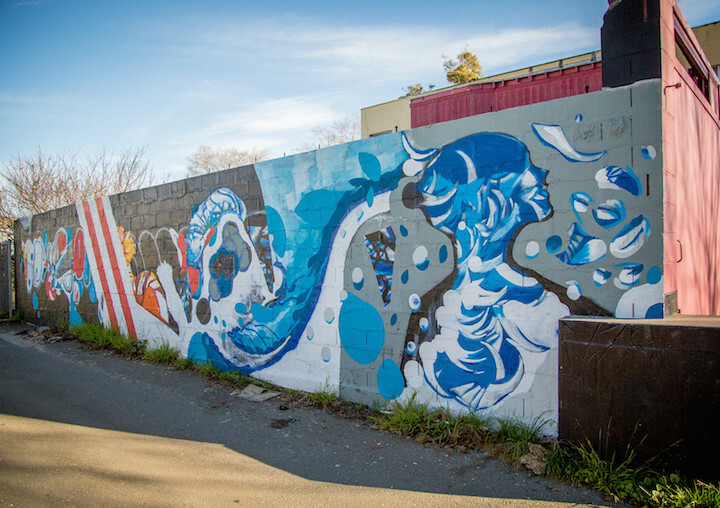 A few weeks ago, we said goodbye to murals that we lost in 2016. 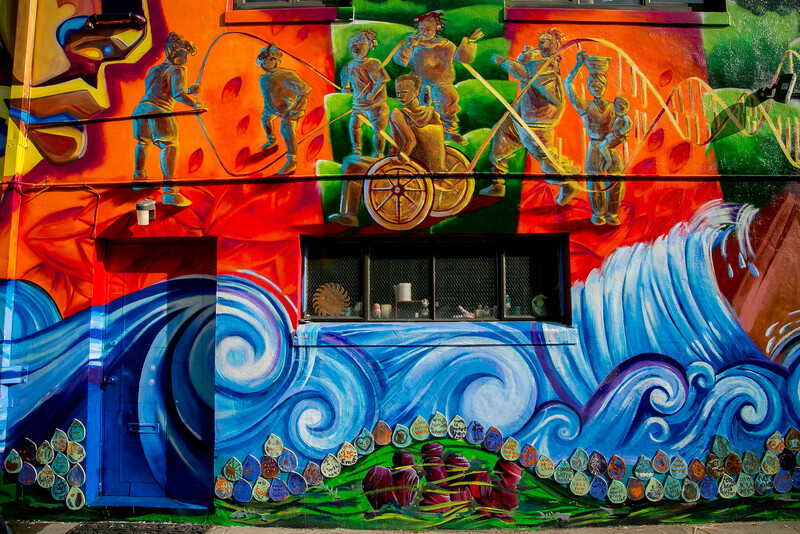 Here we greet new murals that celebrate life and love, manifestations of Berkeley Big Love. 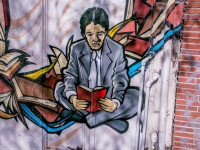 A look around town at murals that are new since we last looked. 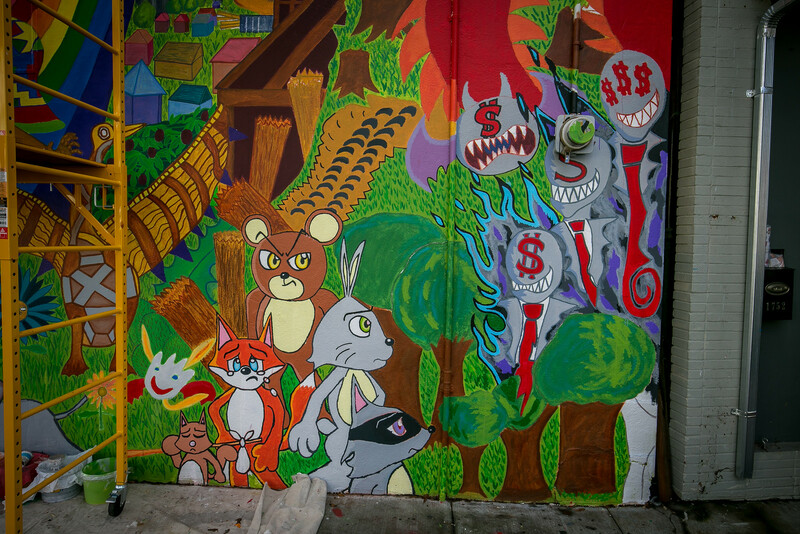 Spoiler alert: The murals by the Youth Spirit Artworks in the Alcatraz Alley Mural Park take best of quirky show. 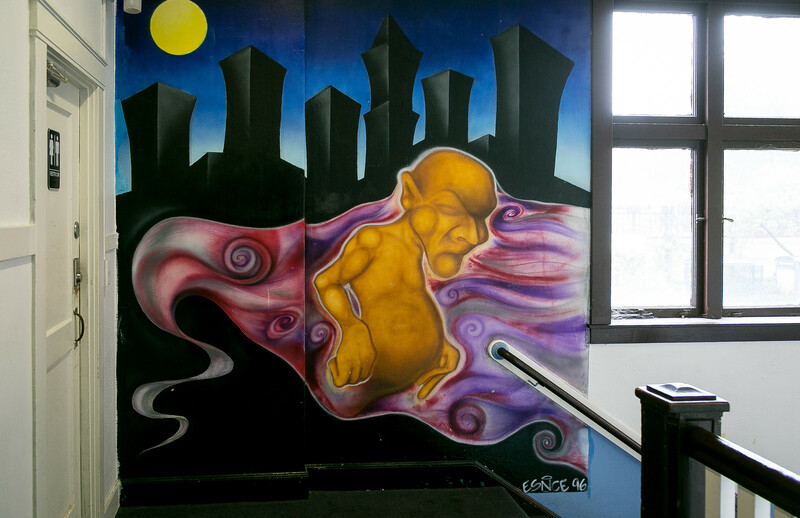 Dozens of most quirky murals painted by students of the proudly alternative Maybeck High School from the former Trinity Church campus and the current St. John’s Campus. High school quirk! 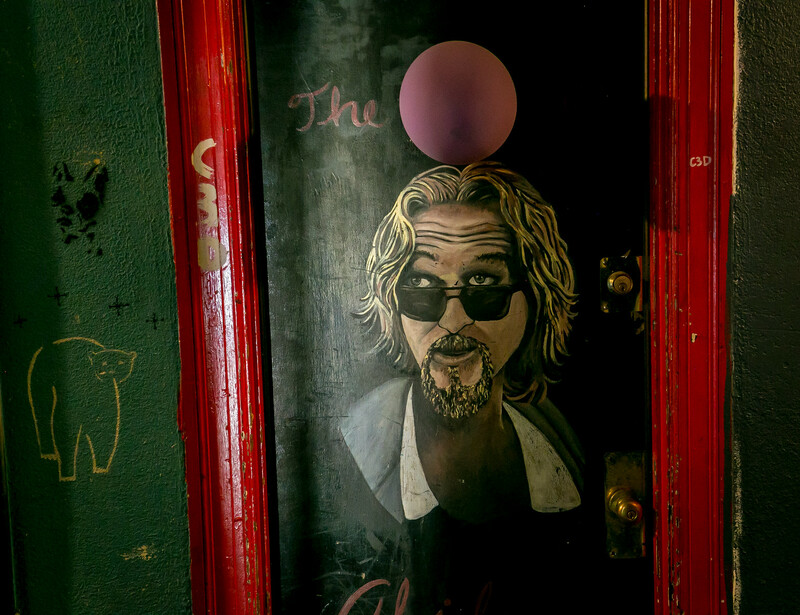 Quirky Berkeley has a NEW HERO. 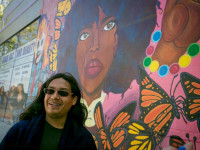 Muralist, culture worker, community organizer, art warrior Angel Jesus Perez. 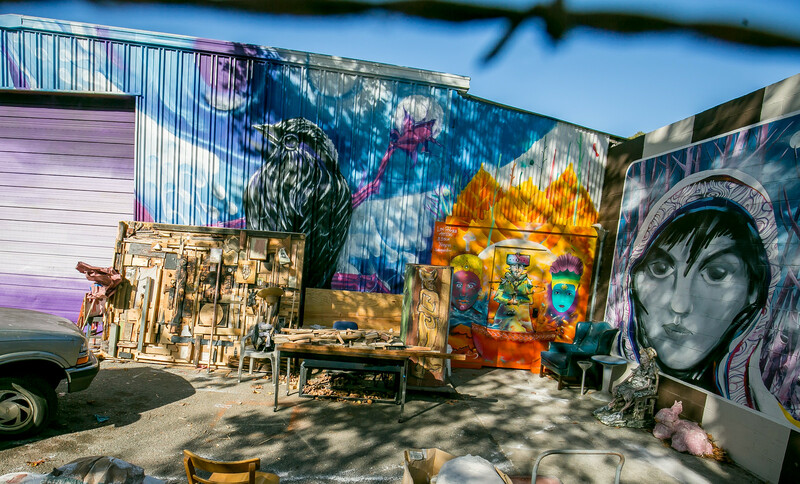 A bright light working in the Adeline Corridor, round Zero of Berkeley gentrification.